Lisa is an experienced physiotherapist of twelve years, using a hands-on approach with specialised skills in manual therapy, soft tissue release and rehabilitation. She treats all musculo skeletal conditions, from sports injuries to more everyday aches and pains. Her focus is always to cater specifically to needs of the individual. 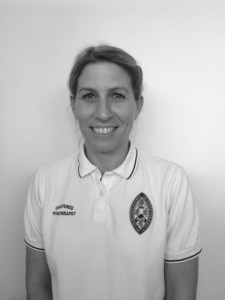 ‘Lisa is a brilliant physio who is extremely skilled and very professional. She has successfully resolved my knee and back problems by providing the appropriate treatment and follow up exercises. I would highly recommend her to anyone’ ~ Rachel, office worker 30.